Happy Monday, friends. The girls and I were away this weekend. Well, so was Luau, but he was away somewhere else, so well, yeah. Anyway, being away, I missed wishing all the dads out there a Happy Father’s Day. To those who know that being a Dad means far, far more than being a father, I hope you felt the love. I don’t have time to write an actual post this morning, but I can’t bear to keep this to myself, so I’m going to have to let the pictures speak for themselves. I kinda think they speak volumes more than I could write anyway. This weekend, we met my sister’s beautiful newborn son. Technically, she’s my step-sister, but we’ve never been much for technicalities me and her. She is as close to blood as humanly possible and I adore her. And she made me an Aunt, so how about that? Brooke couldn’t wait to meet the baby. She was going to do Peek-A-Boo, This Little Piggy, and Ugly Pear Lop Ala Kazool. Oh, and read him stories. And she did. Especially the stories. Lots and lots of stories. At three weeks old, he didn’t seem to notice much, but nor did he mind. He also didn’t mind that no one could convince his big cousin that she is not his inficial (nope, not a misspelling) big sister. 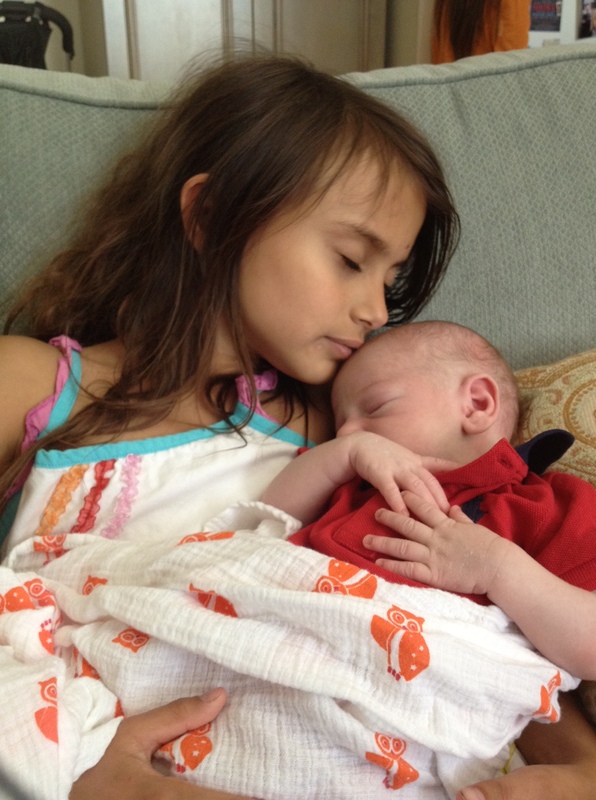 He is her cousin, but she is his inficial big sister. Good enough. So before I end up late to work, here they are. Ok, you ready for this? Like really, really ready for this? Guess it’s good I don’t have time to write. I can’t imagine what I could possibly say. It was incredible to witness and see all of our grandchildren together. Those are all of my words, as well. Must be contagious, through the internet, I’m having the same problem! Thanks for some great photos on this Monday morning. Congratulations! He his beautiful! And your girls, oh my head what I can I say? These pictures tell you so much, don’t they? Oh.My. That last picture undid me. “They” say that love is universal. “They” are clearly right. Just beautiful, beautiful expressions of deep and visceral love. Love. It’s a beautiful thing! Beautiful! Those pictures are worth a thousand words. I mean this in the best way possible, the legs on Katie-like when did THAT happen. Get a gun sista, and a big one! Beautiful!!!!! Congrats to your sister! Did the baby cry while you were there? How did Brooke handle it? meredith, it was really amazing. he did, a little bit – at only three weeks, it’s still more fussing sounds than full-lung crying, thankfully, but he did make some crying noises. brooke’s reaction was the same every time. she said, ‘oh, dear, please don’t cry, jude.’ it was very obviously a script from something, but not one that any of us could identify. i was ridiculously proud of her for handling it as well as she did. Katie looks too, too mature! What a blessing you experienced with the girls. Those pictures say it all….and congrats on your nephew! It is the peace in Brooke’s face that undid me. The love, and the sweet, relaxed peace. Congratulations to the cousins for having each other, and to you Auntie, for having them all. Wow….those took my breath away! 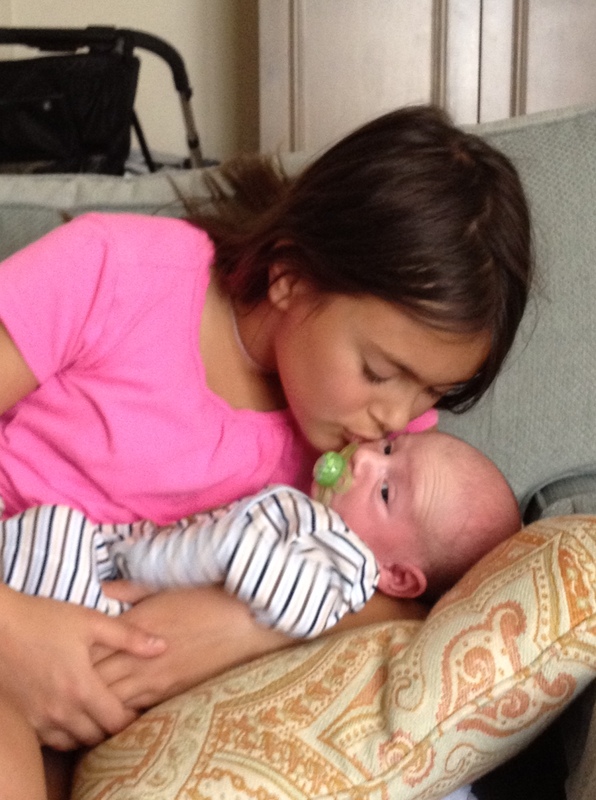 so beautiful…the big girl cousins loving their new baby cousin! Congrats again on being an Aunt…it is so fun! 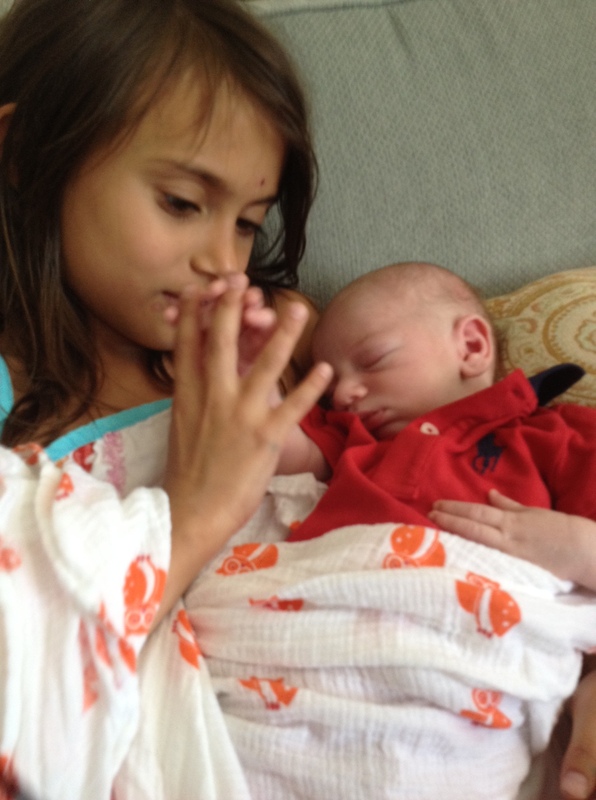 We have a new 4 week old cousin too…and my girl isn’t sure about him just yet…she looks and says ” baby”…. But that’s it for now. We will see….. Both girls so naturally maternal….and in their own unique ways. After a craptastic morning, these pictures turned on my heart light. The last photo did me in. You can really “feel” everything she is feeling. got goosebumps. you were right, no words could’ve conveyed that.